Good through December 21, 2007; includes taxes and gratuities. Offer only applies to direct bookings and is non-refundable, subject to hotel availability and may not be combined wiht other offers. A minimum stay of four nights is required. Call to reserve at 011 52 322 226 70 40 or visit online at www.premiereonline.com.mx. 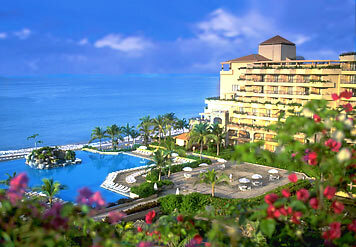 Puerto Vallarta has got to be one of my all time favorite places to visit. Are you an agent? 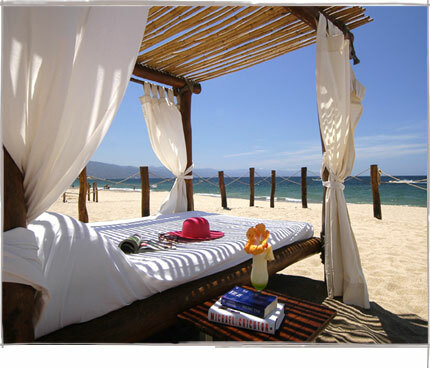 Then you MUST take advantage for CasaMagna Marriott’s absolutely fabulous FAM rate: through October 31, 2007, prices for agents range from $89 to $119 per night and include a $60 credit for a fourn-night stay or a $100 credit for a five-night stay. Reservations must be made before September 15!!! The resort credit can be sued toward the spa or meals at the resort. Minimum three-night stay is required; max five nights. Oh, and rates are only available to graduating students of Hotel Excellence. Note: You must present your Hotel Excellence Certificate at check-in. Contact Sharon Dayan, tour and travel sales manager, at 011-52-322-226-0006 or e-mail her at sharon.dayan@marriotthotels.com. The Tides Riviera Maya, once (very well) known as Ikal del Mar, is offering special travel agent rates of $150 for an overnight stay, $250 for a two-night stay, $350 for a three-night stay or $550 for a four-night stay. The deal is good throughout October 31 and is subject to availability. Travel agents must provide appropriate IATA identification when making reservations and before checking in. We’re assuming Kor’s Hotel Group will keep Ikal’s old standards as high as always. We really loved that place. On Thursday, a federal appeals court refused a Teamster’s union request that would have blocked Mexican trucks from hauling goods throughout the U.S. The Mexican trucks may begin rolling norte this Thursday. The timing of this, during Labor Day week, could not be more obvious and pointed. The Bush administration has repeatedly touted the benefits of the Mexican convoy as being good for consumers, as the competition will presumably lower transport costs which will be passed on to the public in the purchase price of the goods. This will not happen. Retail prices are set by the market…what the consumers are willing to pay. If you need proof just look back to when Nike began making shoes overseas where they paid the workers a couple of dollars a day. Did the price of their sneakers come down? No, Nike stuck on a price tag of over $100 because that was what they could sell them for. The public didn’t benefit from the slave labor, the shareholders and upper management did. That’s the way it works with our present system and laws jiggered towards the corporate welfare beneficiaries. Well, they will argue, as prescribed by NAFTA, the U.S. truckers will be able to deliver in Mexico, as well. That’s fair, right? No, not in the real world. U.S. truck drivers will not work for the low wages that the Mexicans will in Mexico. They reside in a different economy, pay higher taxes and much higher health care costs. The cost of living for U.S. truckers is much higher than their Mexican counterparts. As much as some people keep insisting, this is not a level playing field. And do no believe that the Mexican truckers will not protect their dominance of the Mexican highways. They would, and they should. My position is not fueled by xenophobic or racist feelings. I love the country of Mexico and its fine people and am firmly in the progressive category politically. But I also see my country on a path of the destruction of the working class as their wages steadily lose ground to inflation, due in part to illegal immigration. Some people claim that the immigrants are only doing the work that we won’t, but that is not true for truck drivers and most construction and manufacturing jobs, which are being filled with immigrants from all countries. These are the jobs that built our middle-class and created the best economy in the world, with the unions leading the way. Our truck-driving “cowboys” were instrumental in the success of our country and now they need our support. I encourage you to call or email your elected leaders to take action and stop what will be the decimation of the U.S. trucking business.